How can I locate a password on a Mac using Keychain Access? If you have forgotten your password, and if you have saved the password to Keychain before, it should be possible to recover the password using Keychain Access, by following the steps provided below. Note: In order to complete this process you will need Administrator privileges. Launch Keychain Access. You can do this either from the Utilities folder (within your Mac's Applications folder) or by searching for Keychain Access in Spotlight. Under the Keychains section of the pane on the left-hand side of the main window, make sure the option Login is selected. In the main area of the Keychain Access window (in the list of logins), select the login you would like to view the password for. Double-click the login you would like to view a password for. A new window should display. 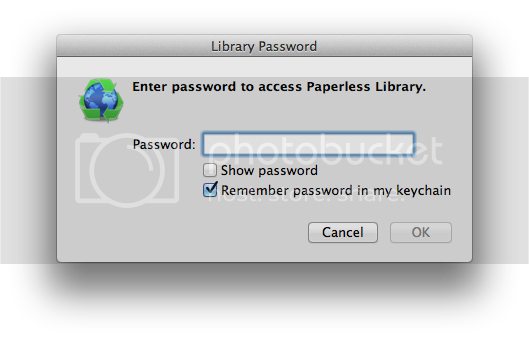 Keychain Access will prompt your for an administrator password for your Mac. At the prompt, enter a password (and username, if it is a user other than yourself) with Administrator privileges. Keychain Access should now display the password for the login you've selected. It should display the password until you close the window it's displayed in.